With some very exciting happenings on the horizon for Esprit, this well-established brand has adopted the face of the edgy and beautiful Erin Wasson for their Fall campaign. With her laid-back chic, sophisticated edge and confident style, its no surprise how strong their new collection is and the new direction the brand is taking. 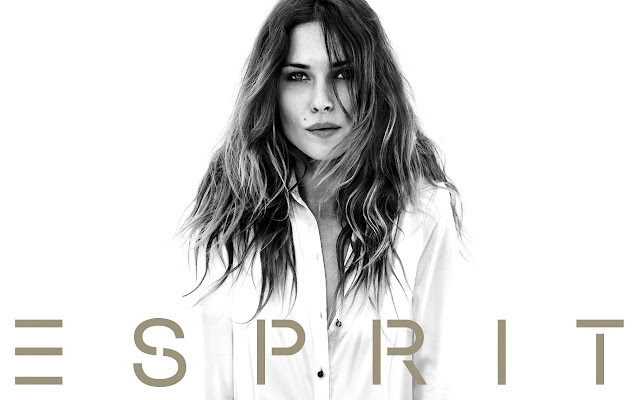 Known for their classic basics, Esprit is stepping up their game and revamping to appeal to a younger audience. If you already have a pre-conceived notion of who the Esprit girl is, get ready to throw all that out the window as they may be swiftly stealing our hearts this year! Espirit is a brand I use to love and so I'm happy I can now start buying again. Their new range looks great.